Baltimore’s Mayor Catherine Pugh and two aides face scrutiny over staying at $400-a-night hotel rooms in Washington D.C. The Mayor of Baltimore, along with two of her aides, are facing scrutiny this week after spending $400 a night on hotel rooms in Washington DC while attending a conference. 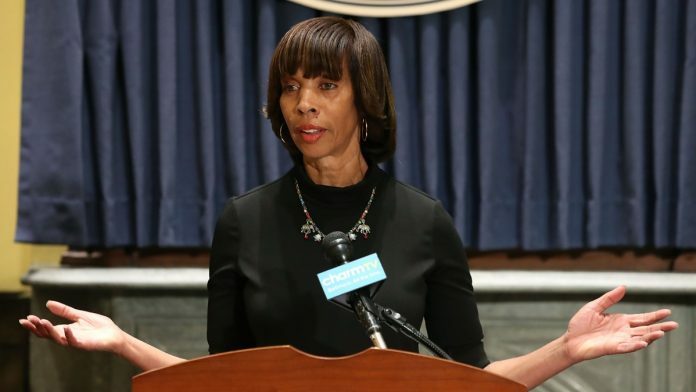 According to the Baltimore Sun, last month Mayor Catherine Pugh, spent more than twice the daily amount city rules typically allow for lodging. The agenda for this week’s Board of Estimates meeting reports that overall Pugh’s office spent $5,579 on the one trip. The conference they attended ran from January 23rd to January 25th and was facilitated by the U.S. Conference of Mayors at the Capital Hilton Hotel in Washington, D.C. The rooms cost $352 per night, plus $52 in taxes and were paid for using the Mayor’s office’s official credit card. The city’s rules state that there is a $257 daily allowance, excluding tax, for staying in Washington D.C. during the winter months.The mayor can of course ask for extra money if needed when she attends a conference or if she has to send a representative. However, it’s not clear if that exception also applies to the two aides who benefited from staying at the posh D.C. hotel. When asked to respond to the accusations, Pugh explained that conference organizers chose the hotel, and clarified that neither she nor her two staffers used city money to pay for food. It also allowed them to attend early meetings and late-night events. She also pointed out that she does double duty by holding meetings during conferences and the information she gets at the event, which she has attended in both 2017 and 2018, is valuable to the city. For example, at last year’s Conference of Mayors, she learned the importance of Opportunity Zones, special tax areas created by the recent federal tax reform and designed to attract investment to struggling communities, which armed her to be more efficient when instructing her staff to focus on how to make the most of the zones.